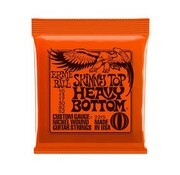 Ernie Ball Slinky Electric Strings are top selling sets, favored by many musicians around the globe. 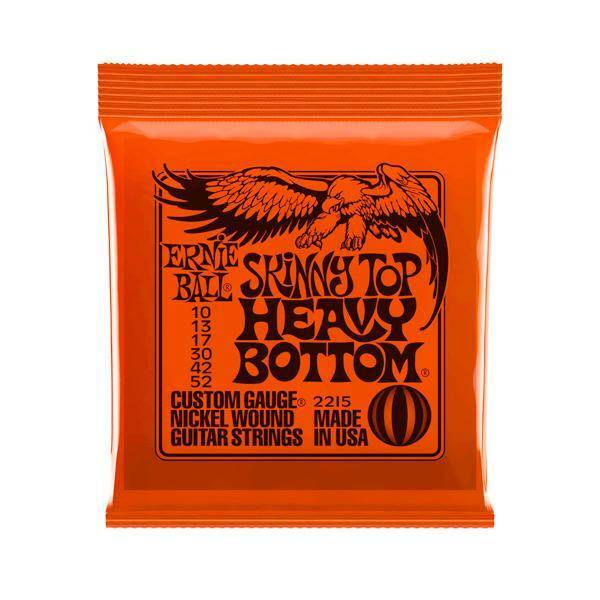 Ernie Ball Skinny Top Heavy Bottom Slinky Strings are the perfect hybrid set for those who like thick bottom strings without sacrificing the ability to solo on smaller strings. These strings are precision manufactured to the highest standards and most exacting specifications to ensure consistency, optimum performance and long life. Regular Slinky wound strings are made from nickel plated steel wire wrapped around a hex shaped steel core wire. 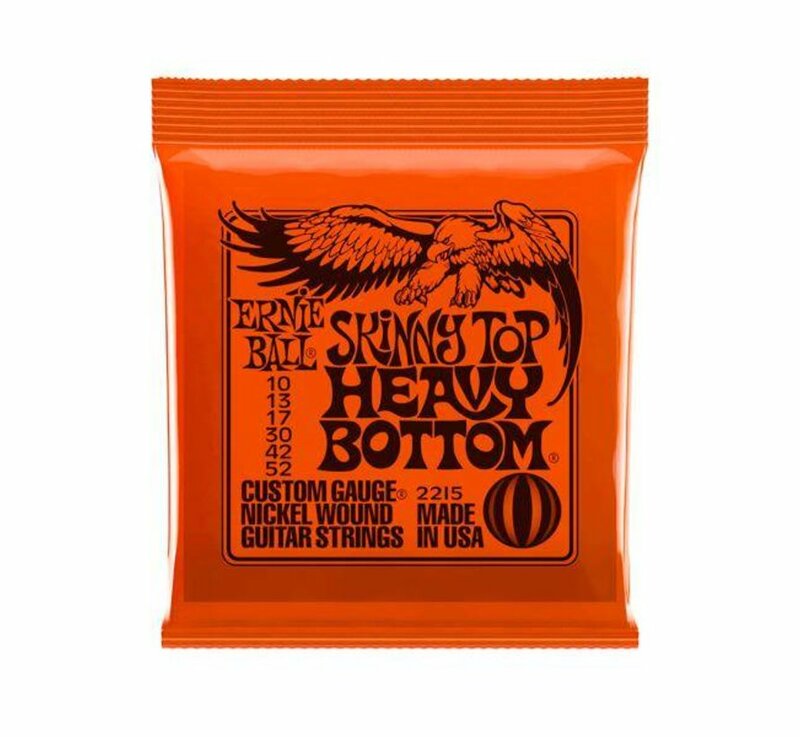 The plain strings are made of specially tempered tin plated high carbon steel producing a well balanced tone for your guitar.